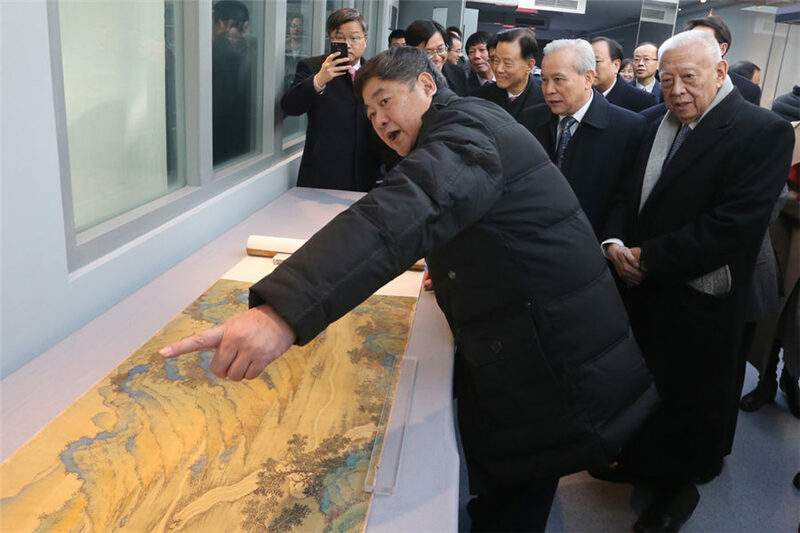 The Palace Museum received the painting Silk Road Landscape Map, which was donated by Xu Rongmao, founder and chairman of Hong Kong Shimao Group, during a ceremony in the Palace Museum Nov 30. Xu bought the painting for $20 million from a Japanese collector. The more than 30-meter-long Silk Road Landscape Map, which was created in the late Ming Dynasty (1368-1644), depicts a vast landscape from Jiayuguan Pass in Northwest China's Gansu province to Tianfang city, now the holy city of Mecca in Saudi Arabia. This painting is filled with a large amount of geographical information. It serves as proof that China already had a clear understanding of the world geography, especially along the Silk Road, before Western maps were introduced to China.